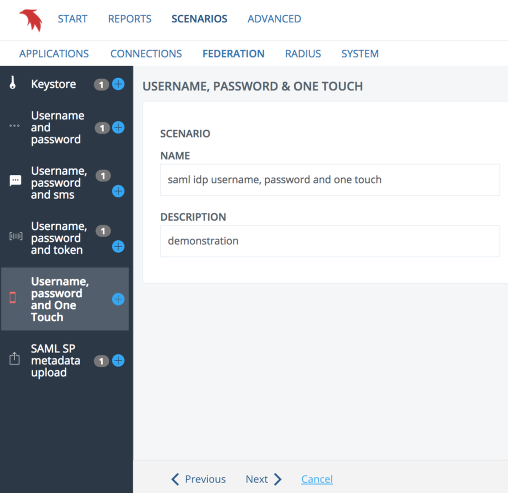 Performing this scenario will produce a SAML IDP with Username, Password and MFA through PhenixID One Touch. Authentication is done using either Active Directory, LDAP or SQL database as the primary userstore. 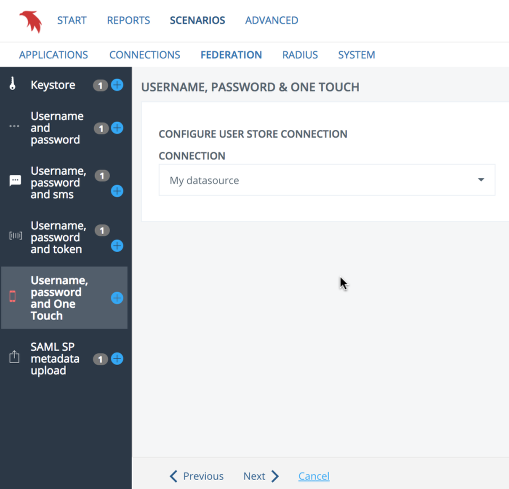 Be sure to have configured "Keystore" & "SAML meta upload" scenarios prior to executing this scenario. 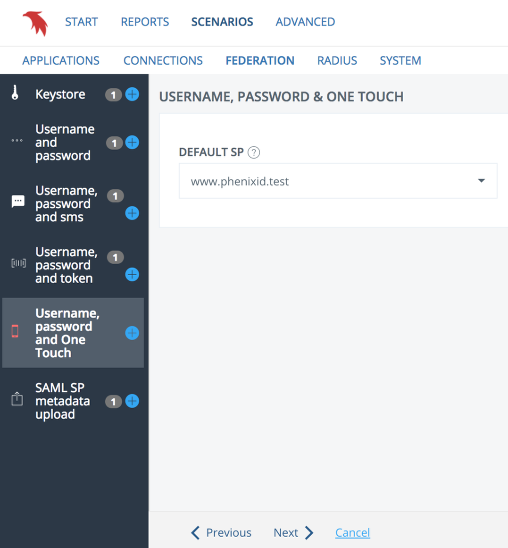 A good idea is to enable either MFA admin or Selfservice for activating PhenixID One Touch tokens.